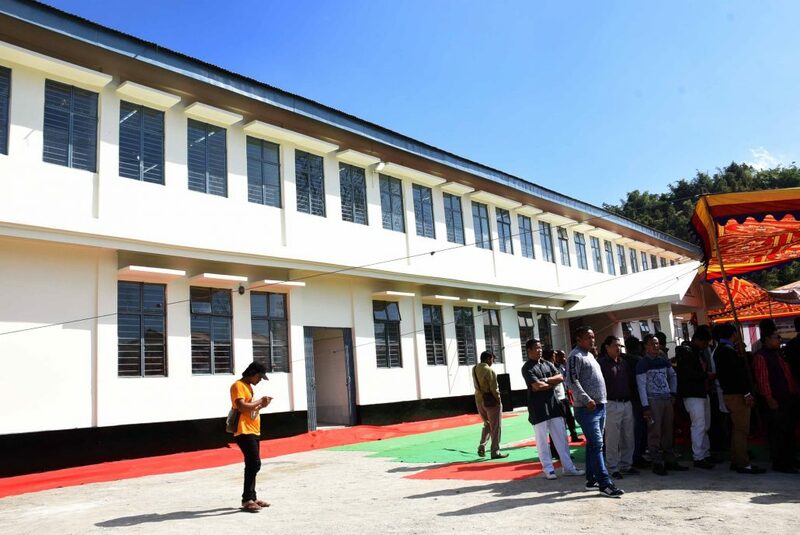 The State TB Hospital constructed at an estimated cost of Rs 8.74 crore by Manipur Police Housing Corporation (MPHC) was inaugurated at Keirao Wangkhem in Manipur’s Imphal East District on Monday. Manipur chief minister N Biren Singh attended the formal inauguration of the hospitals in presence of state health minister L Jayentakumar. Chief Minister Biren said that controlling the disease is the collective responsibility of each and every member of the society. Local clubs in valley districts and Churches in hill districts may extend great help to the Government in spreading awareness about the disease to public, he said and stressed the need to change the pattern of imparting awareness on the prevention and treatment of the disease. Stating that the Government is ever ready to provide any type of assistance to hard working people, Biren urged the public to extend co-operation to the Government in making Manipur self sufficient in fish, food and vegetable productions and requested not to extend support and co-operation to any type of bandhs/blockades because it largely affects the State economy. Health Minister L Jayantakumar said that TB is one of the greatest health challenges being faced by the country. Stating that this challenge has become further complicated with the emergence of Multi-Drug Resistance-TB and prevalence of HIV-TB co-infection. Informing that Prime Minister has a vision to eradicate TB by 2025, he said that there need for strong support from the public to achieve the objective. The State TB Hospital was earlier located in Chingmeirong in Imphal but it was shifted to the current location in Imphal East district in 2015 and it has 62 staff including seven doctors and a superintendent.